Grow your impact this spring! 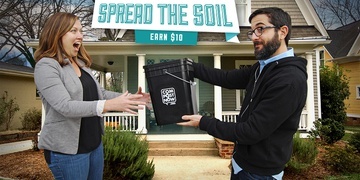 Refer a friend to composting. Five Easy (& Rewarding) Ways to Refer A Friend to CompostNow! In 2017, we are excited to announce the launch of our “Refer A Friend, Earn $10” referral program. We give you all the tools you need to easily share a two-week free trial with your family and friends and you are rewarded with a $10 credit once they sign up. Easy (CompostNow) money! CompostNow is Durham Living Wage Certified! We’re happy to announce that CompostNow has been Durham Living Wage Certified! 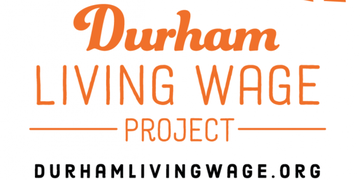 The Durham Living Wage Project (DLWP) launched in early 2015 with the mission to support worker livelihoods by urging employers to pay living wages, certifying and publicly recognizing employers, and promoting living wages as a matter of conscience within our community. Meet the Tilthy Rich Team! CompostNow and Tilthy Rich Compost Join Forces - Next Steps! CompostNow and Tilthy Rich Compost Join Forces in Starving Landfills!